As a reward for their “hard work” during the parade, the First Ship crew mates get an all expense paid trip to Siberia, or something like that. 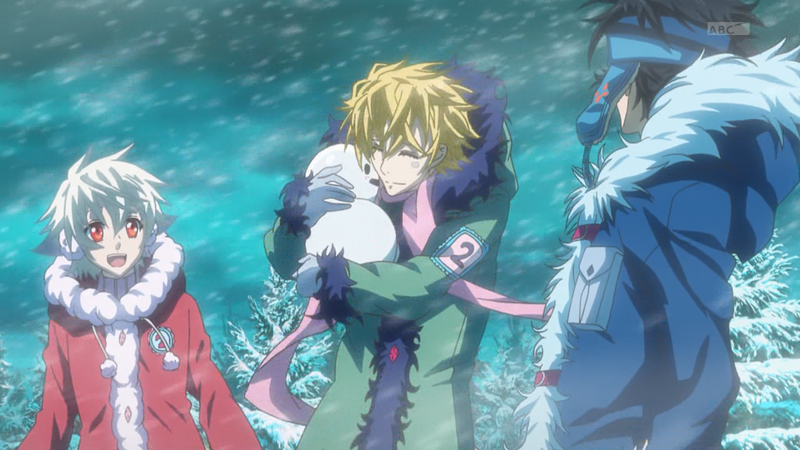 Despite the nature of their banishment by Hirato, Nai and surprisingly Gareki seem to enjoy the snowy experience. Hirato is also sending some mixed signals. First, he’s the one who sends them off to the snow lands to ultimately act as bait for Varuga. He even declares that he’s not afraid to kill Nai if he has to. But on the other hand, he’s nice enough to send Yukkin to the exiled ship members! It’s cute, but I don’t understand how a snowman can walk around or be warm. The majority of the episode focuses on Yogi’s wavering optimism. It’s sad when the energetic character of a series feels depressed, and the effect is always powerful. I suppose that’s why writers always choose to do this, to show the fallacy of naivete or that not everything is as it seems. It’s cruel and even a little cheap, but it usually gets the point across. 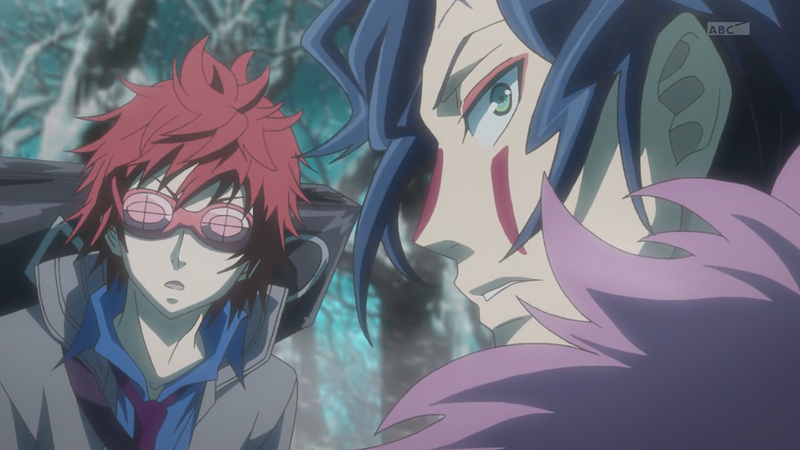 In this episode, Yogi struggles with his relationship with Gareki. It’s strange because I thought he’d be used to stuff like this with other members of Circus, like Hirato, but I guess Gareki is a bit more tsundere than most people. We also find out why Yogi always wears a band-aid. After being attacked by some video game nerds, his band-aid falls off and an inner Silver Yogi is unleashed. Going off that previous point, certainly not everything is as it seems. 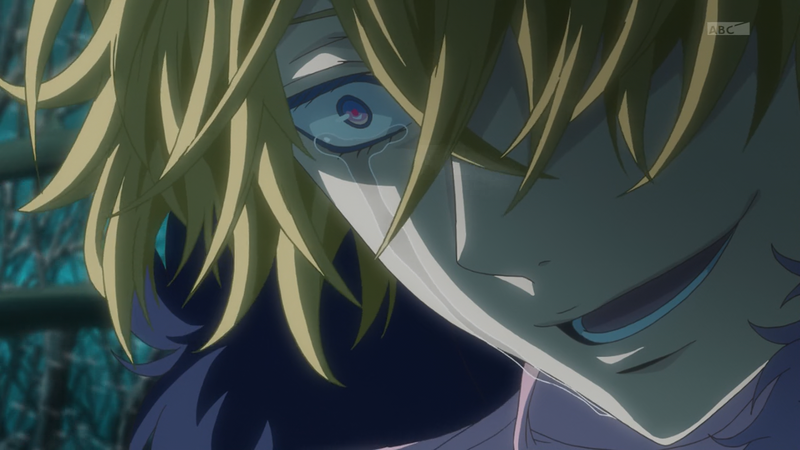 Yogi transforms into a sadistic version of his previous self, and his persona is a complete opposite of the kind, innocent Yogi that we know and love. I’m a bit worried about the pace that this series is going. It’s almost over, and I still feel like we know very little about Kafka, Karoku, and how everything relates in the grand scheme of things. The plot has been inching along, and while the characters are great, I expect massive revelations to occur if the series hopes to attain closure by episode 13. If not, we could hope for a season 2!